I didn't know where to turn when I was diagnosed with breast cancer, so I did my research. Here's what I discovered. When we receive a cancer diagnosis, most of us will feel frightened, vulnerable, or alone. I had no history of breast cancer in my family, so I was shocked when I was diagnosed with Stage II breast cancer in 2011. When I met with my doctors I was surprised to find the only thing they offered was the "standard of care" — some combination of surgery, chemotherapy, radiation, and hormones. I didn't feel entirely comfortable with that, since I knew that 40,000 women in the United States die every year after getting the standard of care. I needed to find out for myself what all the treatment options were, including complementary and alternative modalities, what the survival outcome was for each option, and what all the side effects were. Only after I had all that, would I feel ready to make my decisions. So, I did a huge amount of research to try to make the best medical decisions for myself. I learned what most patients don't know, and I didn't want all that information to end with me. That's why I wrote a book, Thinking Woman's Guide to Breast Cancer, to help empower patients to take charge of their own recovery and remission. In the course of my research, I found integrative oncology. Integrative oncologists “integrate” conventional oncology’s standard of care with alternative techniques, and believe there are two parts to cancer care.The first is the same as conventional oncology — some combination of surgery, chemotherapy, radiation, and hormones. After the treatment is over, conventional oncology offers no further treatment. They give tests to see whether the cancer has returned. If it has, it will likely have metastasized to other organs and no longer be curable. Integrative oncology works to prevent recurrence by changing the patient’s “terrain” to make it less hospitable for cancer, which is the second part. My integrative oncologist gives me regular blood and saliva tests to measure the factors that help cancer grow, and we correct whatever is off through a combination of nutrition, supplements, exercise, stress reduction, and avoidance of environmental carcinogens. With his help, I have been in remission since 2011. While I had a supportive family and friends, they really couldn’t understand what I was going through. One thing I did after my breast cancer diagnosis was to tell lots of people and I gave them permission to tell anyone they wanted. Through them, I got recommendations for doctors, a new form of imaging that helped me avoid mastectomy, a nutritionist, a life coach, and an amazing support community. 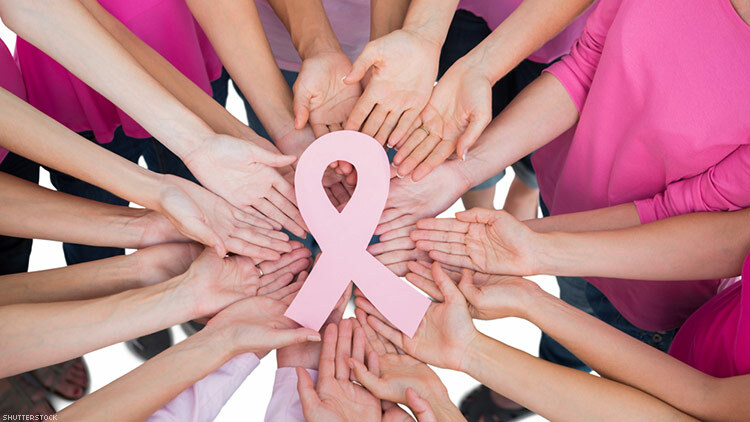 Through friends, I found the breast cancer support group at the Cancer Support Community, which offers free services to all types of cancer patients, their families, and caregivers. I also joined an online support group at BreastCancer.org. They helped me immeasurably — not only with understanding and support, but also with information. It was from their recommendations that I chose my doctors and learned ways to handle the serious side effects of treatment. Check your doctor for board certification and red flags such as malpractice claims and disciplinary actions. A good place to start is DocInfo.org, a website run by the Federation of State Medical Boards (FSMB). Enter the name of the physician you want to check, and the website will tell you the doctor’s education, license, and whether there are actions against them. Click HERE for additional questions to ask your doctor. 4) Evaluate how the doctor treats you. If you have a chronic condition, that will mean working with the doctor over time. You want a doctor who makes you feel safe. Do they treat you with respect? Do they take the time to answer all your questions thoroughly and thoughtfully? Something that is important to is whether the doctor will respond to questions promptly via email. 5) Get a second opinion, or more. Doctors don’t necessarily agree about treatment options for each patient, and you want to be confident that your doctor has chosen the best option for you. Don’t worry about offending your doctor — most of them expect it. They, or your support network, can provide referrals. If your first and second opinions don’t agree about your diagnosis or treatment, or if you still don’t feel you are getting the best possible advice, go for a third opinion, or more. You should feel comfortable when making your decision. 6) Don't face this alone. Other sources of support included my late Chihuahua, Mr. Tude, who provided a warm and furry bundle of love to cling to when I was suffering through chemo. Many breast cancer patients receive tremendous support from their pets who, unlike people, never say the wrong thing. I also attended a meditation group for many years, which gave me tools to manage my thoughts and feelings so I would not be swept away by fear and anger. Like any serious illness, breast cancer can be devastating physically, emotionally, and sometimes financially. My advice is not to try to face it alone. Help is there if you reach out. An HIV Drug May Help People Recover Faster From Strokes.